Victory at Magnolia, Victory Brewing Company’s outpost in Kennett Square, boasts a seven-barrel brewery and a 220-seat dining room. Victory Brewing, the suburban Philadelphia craft brewery, is planning to move on up in production by teaming with a New York State craft beer company, both funded and managed by a Manhattan hedge fund, reports Don Russell of the Joe Sixpack website. A fixture in downtown Downingtown housed in a former bread bakery, Victory is joining with Southern Tier to become Artisanal Brewing Ventures. Ulysses Management, a New York City hedge fund management and investment firm that bought a minority stake in Southern Tier, formed ABV last year. The newly combined craft breweries will produce more than 250,000 barrels (about 3.5 million cases) a year, Russell reported. That puts the new company in the top 15 craft beer companies in the country. Victory brewmaster Bill Covaleski and his friend Ron Barchet founded Victory in 1996. “For us to sit and see the competitive clouds forming on the horizon, and just fold our arms as if nothing was happening, that would be irresponsible,” Covaleski told Russell of plans to grow the company. 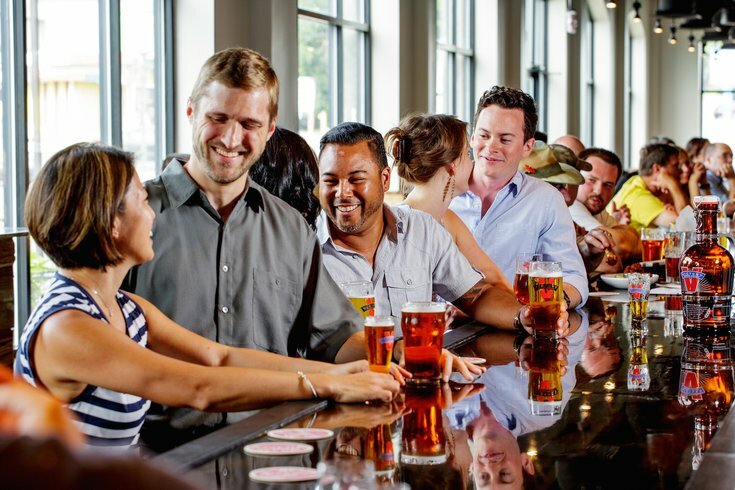 "This news comes as a surprise yet it’s not surprising," said Tara Nurin, a beverage columnist for Forbes.com, adding there's been long speculation about a possible sale of Victory, especially after it built a new brewery in Chester County's Parkersburg. "Bill and Ron have just invested tens of millions of dollars in their gorgeous new brewery and are building brewpubs at a healthy clip, all while continuing to run their original Downingtown facility. I think a major brewery expansion should be a tell that investment and sale conversations are taking place," she said. To read the whole report by Don Russell, click here.